The Georgia Coast is awash in heritage and culture, much of it carefully preserved in museums dedicated to a particular historic era, location or activity. Whether your interest runs toward Colonial history, WWII, the radio era, submarines, or fine art, the Georgia Coast can pack your days with interesting exhibits seemingly tailored just for you. Art & Architecture Jepson Center – Savannah Devoted to contemporary art and rotating exhibitions, the strikingly beautiful Jepson Center links Telfair’s future with its past, unifying the museum’s three distinct sites. It is home to Savannah’s only indoor, hands-on children's museum space, ArtZeum — a unique, 3,500-square foot interactive gallery for children and families. Art & Architecture Owens-Thomas House - Savannah Tour Savannah’s most popular historic home, the Owens-Thomas House. Learn the personal stories of the families that lived there, and through them, the broader history of Savannah. It includes one of the only intact urban slave quarters in America. The Owens-Thomas House is architect William Jay’s masterpiece, and the best example of English Regency architecture in America. 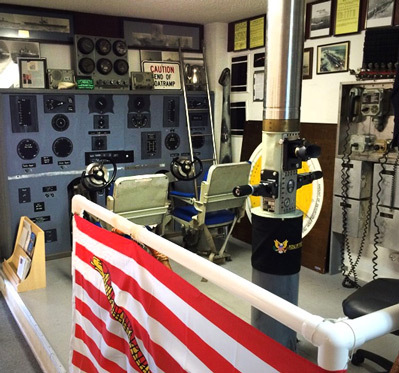 Military St. Marys Submarine Museum Explore the life of a submariner. View a deep-sea diving suit, uniforms, models, and naval memorabilia. Explore the St. Marys River through a working periscope!